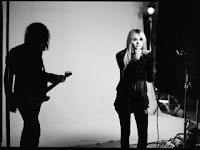 The Pretty Reckless have announced they will be touring across North America this fall. The Going To Hell Tour kicks off in Huntington, NY on September 20th and wraps up in Boston, MA on November 11th. Find out if the band are coming through to your town below. Tickets go on sale this Friday (July 12th) at 10am (local time).